This is Joanne Beckham, David Beckham’s sister. This is what she looks like before her transformation. Go inside to see her now. 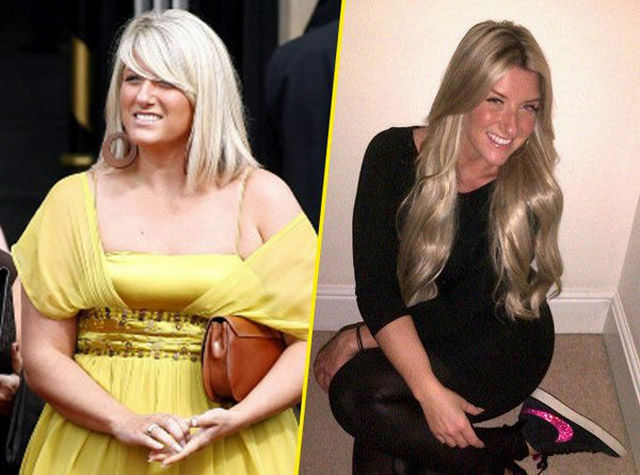 Joanne recently lost 20 pounds in time and dropped four dress sizes for her 31st birthday. So David Beckham's younger sister Joanne was evidently keen to show off her newly-svelte figure in an extremely daring, plunging black dress. #6 made me throw up in my mouth a little. She looks OK. Good for her for losing 20 lbs. She's a pretty girl but she needs friends who will tell her she's made a bad outfit choice. Mine would tell me!! Who wants saggy puppies hanging out like that? Not attractive bless her. Btw Jo, ya right one is bigger than your left! You prob already know BUT you put them on view so a fair comment I think!